Think Your Favorite Athlete is Safe? Think Again. ​​The better mat cleaner for wrestling, gymnastics, and martial arts. If you're involved with sports that use sports mats (wrestling, gymnastics, martial arts, yoga, Pilates), you know that cleaning mats is part of everyday business to try avoiding fungus, bacteria, and viruses. But did you know that those mats are NOT really getting sterilized? I used to wrestle, and we were concerned about spreading fungus and other pathogens, especially because our skin was rubbed on the mat more than in most sports. So we took care to clean the mats every day with disinfecting cleaners. Problem is ... we didn't know how INEFFECTIVE it was ... and possibly ILLEGAL! According to label instructions, you're supposed to SOAK a mat with a cleaner and let it sit for 10 minutes so it can actually kill pathogens. Then use a CLEAN (different) mop to wipe off the solution. Then you have to dispose of the used cleaner legally -- poured into a 55-gallon drum and hauled off as hazardous waste. Like probably everyone, we wiped the mats down with a mop using sterilizing solution, and used little enough for it to simply dry as we went. I'm sure it was NOT killing pathogens. And I expect we just poured the used cleaning solution down a drain and into our local water supply. 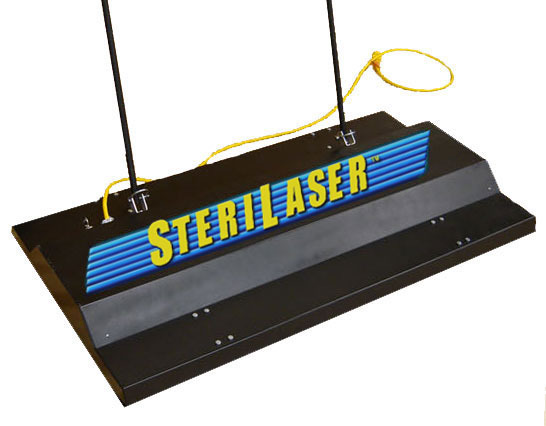 Sterilaser Basic offers the same power level as the Deluxe version, but operates with a power cord. Sterilaser Deluxe offers all the power of the Basic, but with the added convenience of a battery pack. The good news is that the solution I would have LOVED as a wrestler is now here. You still wipe down a mat with water ahead of time, but NO CHEMICAL SOLUTIONS ARE NEEDED. The water just cleans off dust and dirt, and you CAN pour that down the drain. 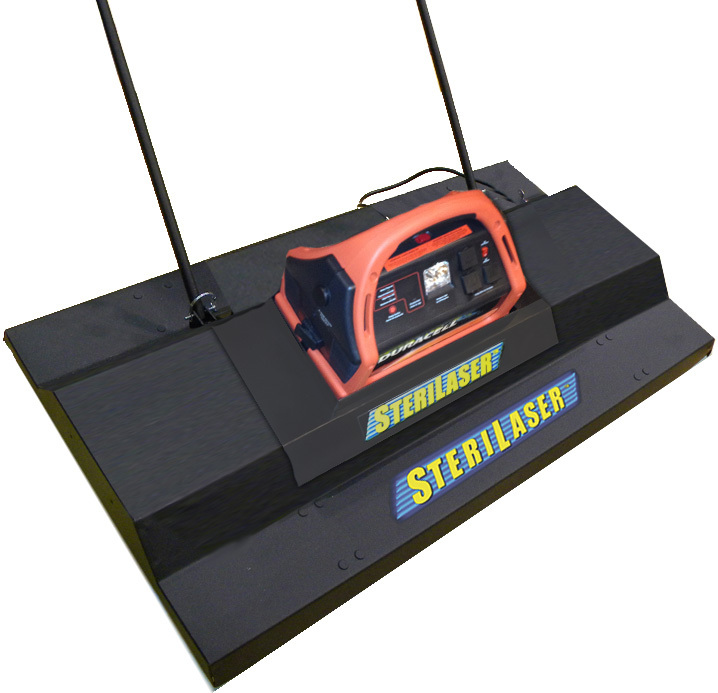 Then you run the Sterilaser over the mat to kill pathogens using ultraviolet light (UV-C). 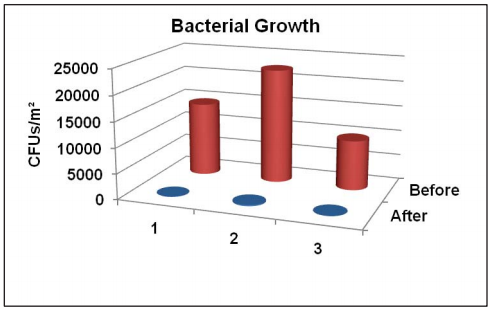 Walking at a normal pace with it, the Sterilaser kills about 99.7% of pathogens. 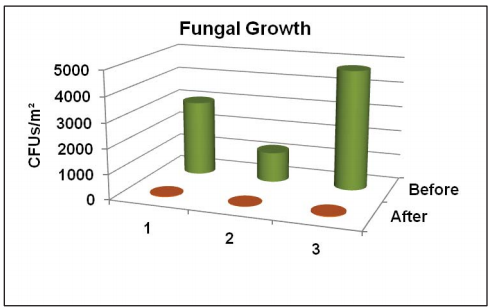 Check out these pictures to see how effective it was in a study by Oakland University in Rochester Hills, MI. 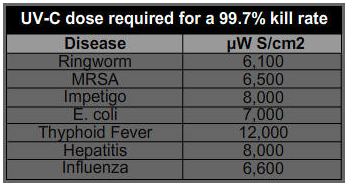 Power needed to kill these pathogens? 12,000 μW S/cm2. The power of Sterilaser? 53,000! Sterilaser not only keeps us from dumping chemicals into the environment, but it also keeps us from adding to resistant strains of microorganisms, which has become an increased health risk to us all. BOTTOM LINE: Today's athletes are NOT safe (including those doing yoga, Pilates, etc.) if they're not taking 30 minutes or more to clean mats with chemical solutions each day. And they're not legal if they're not disposing of those chemicals as hazardous waste. STERILASER makes TRUE disinfection fast, easy, and EFFECTIVE without chemicals and without the problems of legal disposal. You can order it from the company here.